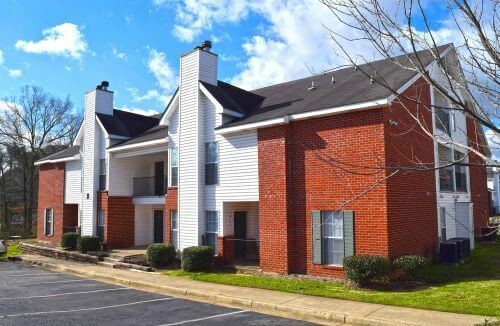 Lexington apartments is a workforce housing community located in the upscale Ridgeland area of greater Jackson, Mississippi. Lexington was developed in 2000 and consists of 220-units. The award-winning school system of Madison County is a big driver for Ridgeland's continuing growth and ranks #1 in the state for safety and #2 of 133 Districts overall. Residents are served by numerous large employers located within a short distance from the property including: C Spire, Select Specialty Hospital, Nissan North America, Levi Strauss and Comcast. Nearby Northpark Mall and Renaissance at Colony Park Mall both are home to many of the nation’s most popular retailers including: Apple, Barnes & Noble, Fresh Market, Walmart, Best Buy, Lowe's, and Home Depot. Lexington apartments offers residents a full amenity package including clubhouse, fitness center, swimming pool, cash wash area, playground, lighted tennis court, lake and fountain, children's playground, and controlled access gates. The property offers one, two, and three bedroom floor plans ranging from 1021 square feet to 1214 square feet. Interior unit amenities include Washer/Dryer connections, outside storage, private patios/balconies, fireplaces, and ceiling fans. Immediately after closing, an $8,700/unit property enhancement program is budgeted and will include upgrades to the unit interiors, community amenity package, and curb appeal.